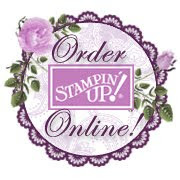 I cannot believe it but Stampin' Up! has just announced that the Stocking Builder punch will not be carried over in any of the next catalogs. I was really bummed about this due to the fact it was a popular punch and very versatile. If you haven't gotten it yet and thought you could get it later, you may want to order it now before it's gone! SU says that once the current supply is depleted it will not be available for purchase. Go here to order it online. 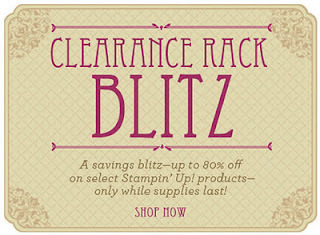 It makes me wonder if the Stitched Stockings stamp set will be discontinued too. This is a wonderful stamp set that matches the punch. I love this stamp set because it has male socks as well as female socks included in the set! I love this set! Here's a card that I cased. I forgot who did this but it is a wonderful clean and simple card. 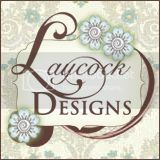 I used it in one of my Christmas card classes and they loved the fresh look! My digital studio is a wonderful way to gather Holiday pictures and make a great scrapbook, calendar, or cards for the upcoming New Year. This program is fairly easy to navigate through but you get a great online website that will give you ideas, tutorials, and answer questions that you may have. Click here to visit the website. Below is a video on creating a wonderful hybrid scrapbook page. Enjoy!! Isn't this the cutest thing you have ever seen??? It was so much fun to make and I loved how it turned out! This is just a mini muffin tin. Here is a picture of the cover off the muffin tin. You can add chocolate, a wonderful holiday note, my favorite jewelry, or anything else you choose. This will hang on your walls. The number document I used is here. Print them out on Whisper White card stock. I spaced it so the number would go at the right side as I stamped the Jolly Bingo Bits in Cherry Cobbler and Garden Green. Punch the stamped number out with the 1 1/4 circle punch. I used SU tombo glue to adhere a strong magnet to the back of the scallop circle. (If you use a magnetic strip, I found they didn't stick to the muffin tin. In other words, they weren't very strong.) I added one magnet on the back of each scallop circle. The card stock I used was: Garden Green, Cherry Cobbler, and Whisper White. I hope you have enjoyed this tutorial. Have a great day. I love SU videos that gives you lots of information about a wonderful product! This is one of those incredible videos. Sit back, grab something hot to drink, have your catalog at hand, and get ready to order...you will love what this video offers!